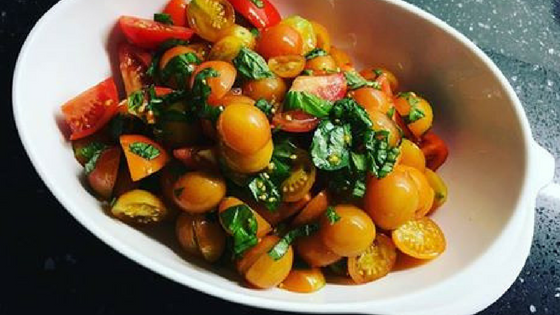 Tomatoes and basil combined together provide a flavour explosion. This is one of my favourite recipes that I have been making for years and ate a lot of when I was in Italy. It is the perfect summer recipe. Mix together all ingredients in a large bowl and let sit for 15 minutes before serving. The longer it sits, the better the flavour.